Every once in a while you come across a card that, while not highly collected, is just not very easy to find. 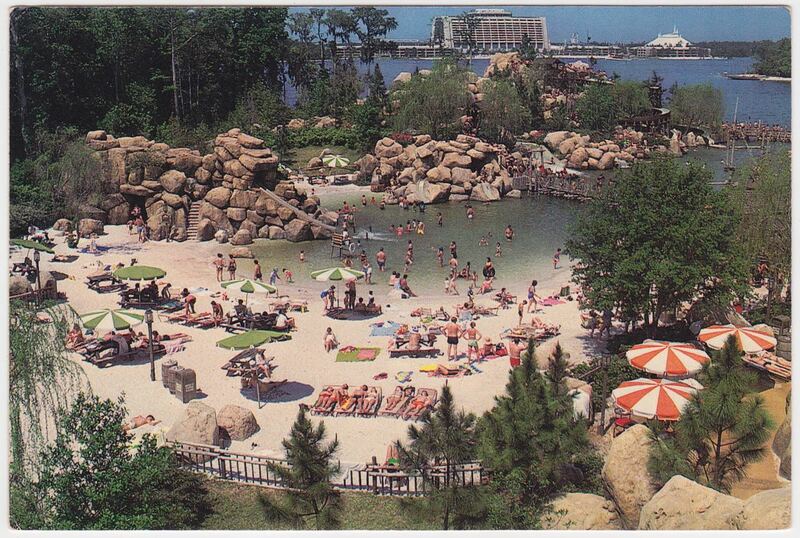 Recently I was poking around eBay and came across just such a card from Walt Disney World. This card, 0100-12406, shows an image of Fort Wilderness looking toward the Contemporary Resort and Space Mountain at the Magic Kingdom. 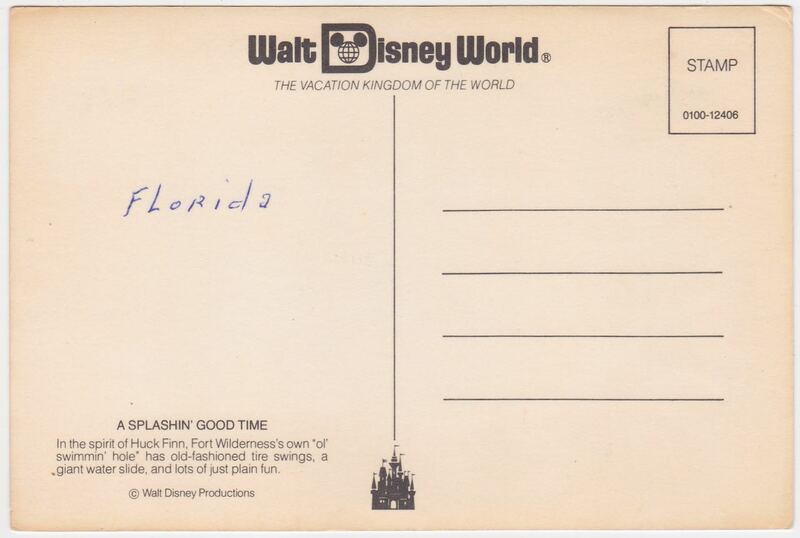 It’s 4X6 and it’s original owner only saw fit to write “Florida” on the back! I can’t put a year on this, and my copy of Nick Farago’s original WDW card list is buried somewhere in my office (only a few feet away from me to be sure…but it would take a while to dig out!). But, it looks to be mid 1970’s to me…maybe 1980. Space Mountain opened at WDW in 1975. 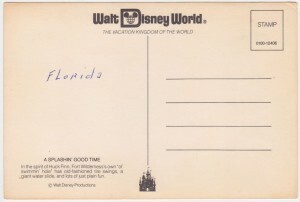 This entry was posted in Disney World, Disney World Postcards and tagged Fort Wilderness. Bookmark the permalink.